The Reno Air Races ended tragically two years ago when a modified P-51 slammed into the ground, killing 10 spectators and the pilot. Some thought this crash marked the end to air racing in Reno. After FAA review, organizers learned how to make the event safer through procedural changes and race course layout. They also had to secure a $100 million dollar insurance policy. All of this was done in time for the 2012 event. The races in 2012 were completed without incident. The 2013 Air Races are expected to draw 200,000 people over the 5 day run, up from about 190,000 last year. 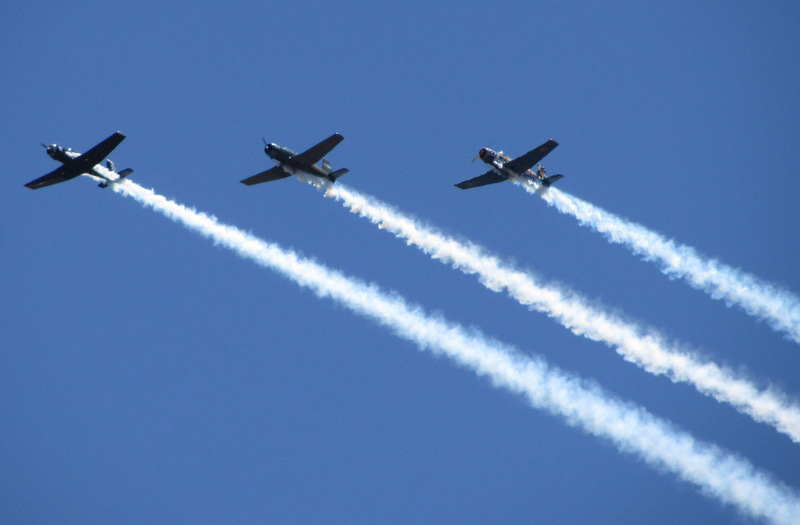 The Reno Air Races have been an annual event since 1964. The event was cancelled on only one occasion. All U.S. planes were grounded after the 9/11 2001 terrorists attacks in New York and Washington. The FAA attributed the crash of the P-51 in 2011 to an elevator trim tab that broke off during flight. The broken trim tab caused a pitch-up maneuver that caused the pilot to black-out.